The upgrade to ClarkConnect 4.3 could have an impact on the OpenVPN settings, so users who experimented with OpenVPN in previous versions should check their configuration after the upgrade. However, ClarkConnect 4.3 has some known issues, such as the blank screens bug encountered with some types of hardware on first boot, some legacy Megaraid/Dell RAID cards are not yet supported and the localization is unfinished. 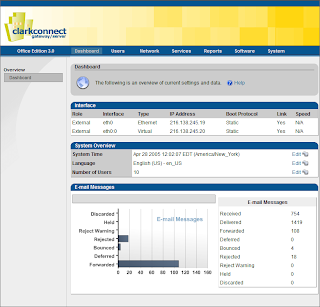 Get ClarkConnect 4.3 right now from here.